TORORO: In order to improve access to safe and clean water, Rotary Club International, a humanitarian organisation, has launched the construction of boreholes and other sanitation facilities in Merikit Sub County, Tororo District. The donation under water, sanitation and hygiene project was in memory of the former president-elect for Rotary International, the late Sam Owor. During the groundbreaking ceremony, which took place at Merikit Secondary School grounds on Monday, the project coordinator, Mr James Serugo said the UGX820 million water project is part of the organisation’s dream of ensuring that all people in the world get access to clean and safe water. “This is geared towards providing assistance to the less fortunate members of the community to have access to clean and safe water in their localities,” he said, adding that project targets to benefit over 20,000 people. He explained that the contractors has finalized with laying of water pipes and drilling of the main borehole. “The contractor has finalized with laying of water pipes and drilling of the main borehole and it now only pending to connect solar water pump,” he said. Mr Serugo said project will also include the construction of 10 blocks of improved pit latrines in 3 schools and two at Merikit trading Centre. “We will also support training of communities on building micro flash toilets in the model villages and as well as carrying out trainings in schools on making of re-usable sanitary pads,” he said. He added that the organisation will renovate the maternity ward at Merikit health Centre and also install about 100,000 cubic liter tanks at the facility including the construction of toilet facilities. Mr Serugo appealed to the resident to own the project and support its maintenance works. 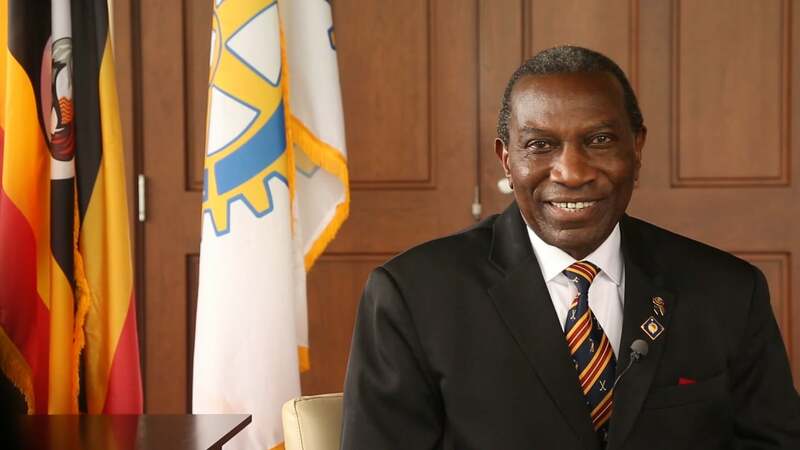 Mr George Karnes, the chief fund mobilize from Virginia Rotary club USA, said the system was designed and installed in a way that it can be upgraded or extended to neighbouring communities. The area LC3 chairperson, Mr Joseph Obure said access to safe and clean water has always been a challenge in the area. “We have no access to safe and clean water especially during prolonged dry spells, where most water sources dry up forcing communities to fetch water from the neighbouring streams, which are shared with animals,” he said. Mr Obure said the communities will no longer walk long distances in search of water. “Very often, families have had to move long distances to get water from unsafe sources, which posed health risks to them but that will now be history,’’ Mr Obure said. Mrs Norah Owor, the wife the late Sam Owor applauded the family of Rotary International for fulfilling the dreams of her late husband.